The Label says it all! We take the most delicious, juicy apples and dip them over and over until they're 100% decadent! 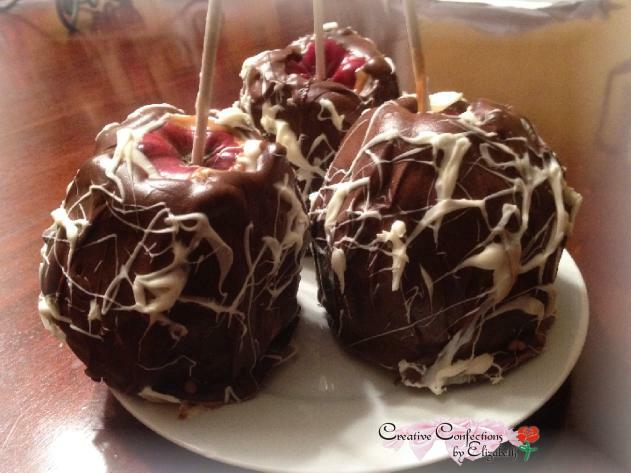 All of our apples have a rich layer of caramel covered by 2 thick layers of fine chocolate. They're then beautifully wrapped - ready to be delivered to your special someone! They're Only $19.99 plus $5 for shipping anywhere in the country! click "Roses" now. Better still, browse around all over the site. There's a special on rose bouquets and apples for Weddings & Sweethearts. 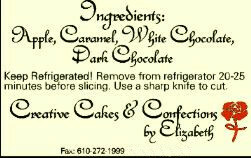 Our most delectable cookies (since you've all been asking and asking) are now available in larger boxes! Everything we offer can be shipped to arrive wonderfully fresh and delicious nationwide.